Lemon Cat was one of the first Etsy shops that popped up when I was searching for some kawaii stationary for my planner. They stock such a huge range - over 2000 products! Everything is so cute, there's lots of Rilakkuma items on there. Lemon Cat also sells craft supplies and lots of adorable little things - it's well worth a look. I went for two things from the Rilakkuma Easter range and some cute Japanese emoticon stickers which I thought would look super cute in my planner! 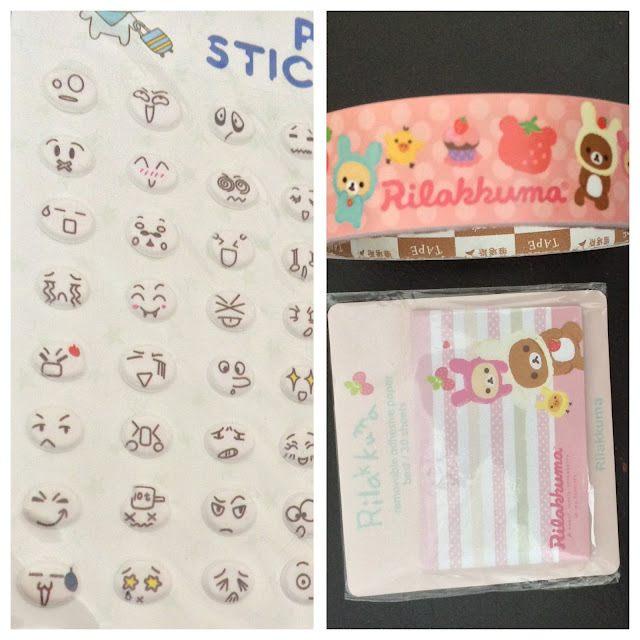 I got some thick paper Rilakkuma washi tape and some Rilakkuma sticky notes. How adorable are they? I'm so happy with them - the tape was a lot thicker than I thought which is fab. I'm actually thinking of decorating the edges of my shelves with it - they would look cute and really dress up my white shelves. The emoticon stickers are so adorable - AGHH! When I received them, me and my mum went through and decided which of the faces we pull at which times of the day. We found this incredibly amusing (lol!). My stationary was shipped quickly - I received it within a few days of ordering. Communication was efficient throughout the process too! I would 100% recommend Lemon Cat if you're into cute stationary! Everything is so cheap as well, it's really affordable.